Many of you may ask, what is autism? Well Autism is a complex developmental disability; signs typically appear during early childhood and affect a person’s ability to communicate, and interact with others (What is Autism, 2016). For many young children this can be hard to cope with while going to school. Kids that are affected by autism spectrum disorder are usually pulled out of the classroom sometime during the day to work with other trained professionals. Usually this time is the most crucial interaction time that they need to get. Did you know, around 1 in every 68 children are diagnosed with autism spectrum disorder (ASD) around the world? And 1 in every 59 children in the United States of America? Autism spectrum disorder is a developmental disability that can cause significant social communication and behavioral challenges. (Saggers, 2018). Children with ASD often struggle with social skills, repetitive behaviors, speech and nonverbal communication. Just like any other kid, a child with autism can have unique strengths and challenges in different areas of their skills and behaviors. Autism is a complex neurobiological disorder of development that lasts throughout a person’s life. 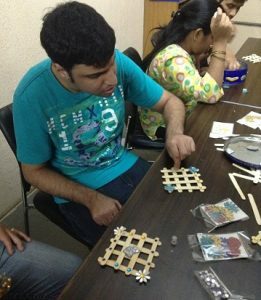 It is sometimes called a developmental disability because it usually starts before age three, in the developmental period, and because it causes delays or problems in many different skills that arise from infancy to adulthood (Autism Overview: What We Know, 2005). Students with autism often need extra help throughout the school day from someone other than their teacher. When teaching in a classroom that has children with ASD, it can often be very difficult for the teachers to conduct their lesson plans. If a child is not directly enrolled in an intermediate school district ,or put in a special needs classroom with kids like them it can often lead to many issues between the student and their peers. Children with autism can’t handle how they’re feeling or what they are saying most of the time, and in the traditional style school setting it often can be very hard for them to make friends or communicate with others. A recent study found that among the 934 parents who were surveyed, approximately 77% had children on the spectrum attending mainstream schools.It also found that, in general, teachers only felt slightly confident in their ability to support students with autism, while parents were even less certain of teachers’ confidence to teach their children with autism. (Saggers, 2018). Teachers should have prior training in that field of study before getting thrown into a situation you are not comfortable or confident with. Another thing lacing in the modern day classroom are para pros and other trained professionals that could help the child throughout the school day. When working with an autistic student, the more resources the better. In a special needs classroom students have unlimited access to, speech therapist, occupational therapist, behavior therapy, sensory time and so much more that is just not offered in the traditional classroom. If teachers had these available to them whenever they needed, it could make just that much difference in the child, teacher and their peers. Teachers are coming up with interesting ways to offer kids with autism support while in the classroom. How the parents interact in the classroom can be very crucial, especially when dealing with a child diagnosed with ASD. The ways a parent can work on things at home and how they will reflect in the classroom are endless. A parent is your your biggest ally. Have a heart-to-heart chat with the child’s parents. Share your difficulties. Let them know that you want to help (Five Ways Teachers Can Support Students With Autism, 2018). Activities/experiments that are based around their specific learning preferences can make a tremendous difference in the all around performance of the student. Another way teachers are trying to get involved in getting autistic kids active in the classroom are to plan activities around the child’s strengths. If the student is intrigued by the activity happening and urges to be a part of the lesson, they will work so much better with their classmates and participate positively in the classroom. Every student learns different and reacts differently to each subject or activities. If you truly understand how the autistic student learns, you can unlock the doorway into a very magical place. Many students with ASD learn visually (Five Ways Teachers Can Support Students With Autism, 2018). Try creating activities that include diagrams or pictures to help them understand the material more. Most children with autism are visual learners and respond better to change if the can see and understand with what is going on. A very popular new trend that is happening in the education world right now that is focusing on autistic learners are, visual schedules. This is an example of a personalized visual schedule. Each student has their own schedule personalized to them, and their own specific color. 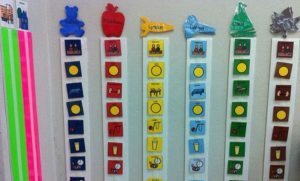 Visual schedules are individualized schedules that are usually set up somewhere in the classroom, either on their desk or on the wall. Visual schedules allow students to move from one activity/subject to another without any commotion. Children diagnosed with ASD usually run on a set schedule, and if one thing doesn’t go as planned it could ruin their day, and yours. When you introduce this particular strategy into your classroom you should see a drastic cut in transition time. This approach isn’t just limited to children with autism, go ahead, try it on all your students! What is Autism (2016). 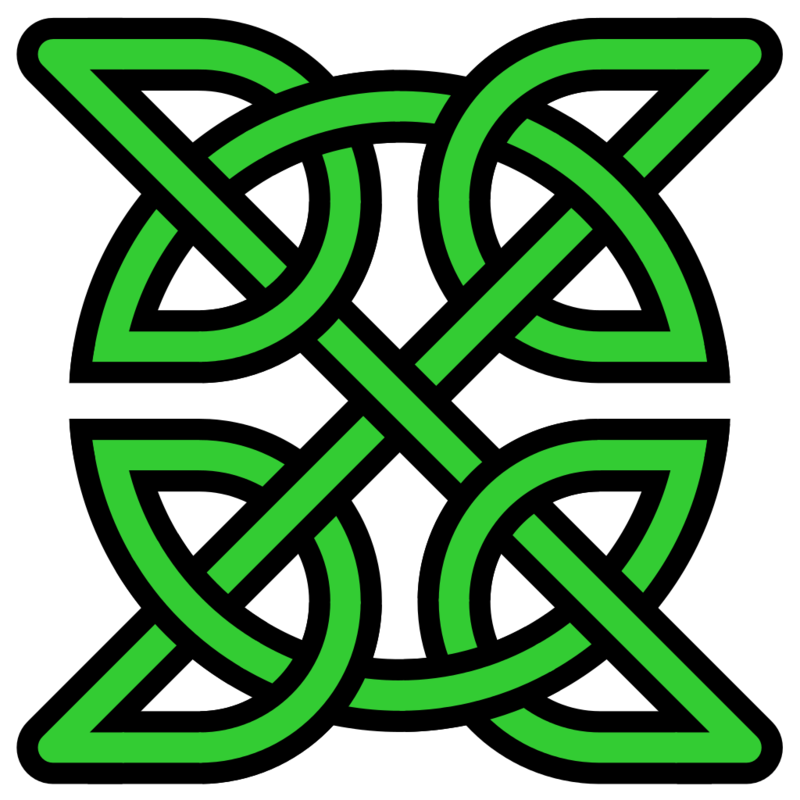 Autism Society website. Retrieved from http://www.autism-society.org/what-is/.